NAB 2019 is in full swing, and SmallHD just announced the 702 Touch, a professional 7″ 1920 x 1200 monitor with a daylight viewable 1,500nit panel, stunning 100% DCI-P3 colour gamut offering an unparalleled monitoring experience for studio and mobile production environments. The new monitor is not to be confused with the freshly announced SmallHD CINE 7, which we wrote about here. 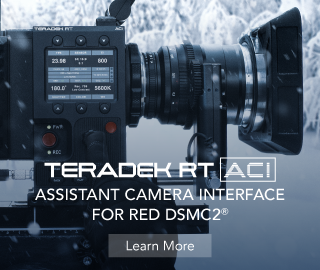 The new 702 Touch is perfect for 1st AC’s due to its integration with Teradek RT. Connect a CTRL.1 lens control unit or the new Teradek CTRL.3 controller to the monitor for real-time lens data overlays, which show critical follow focus information on the screen, including lens focal distance, focal length, iris, zoom and more. 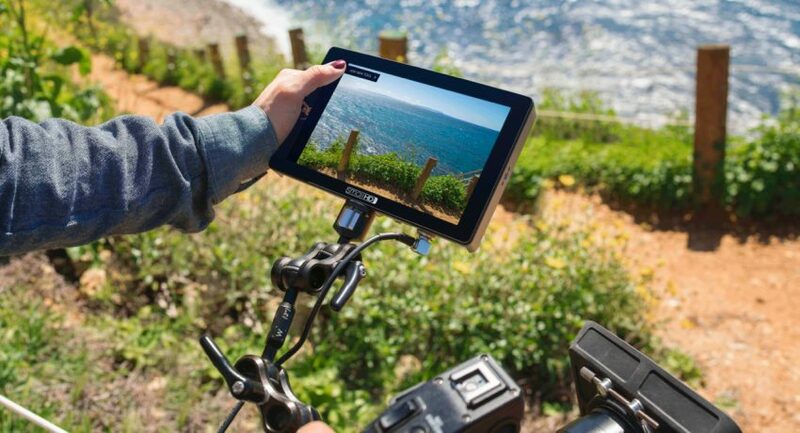 The new SmallHD 702 Touch has a sleek, low-profile design. 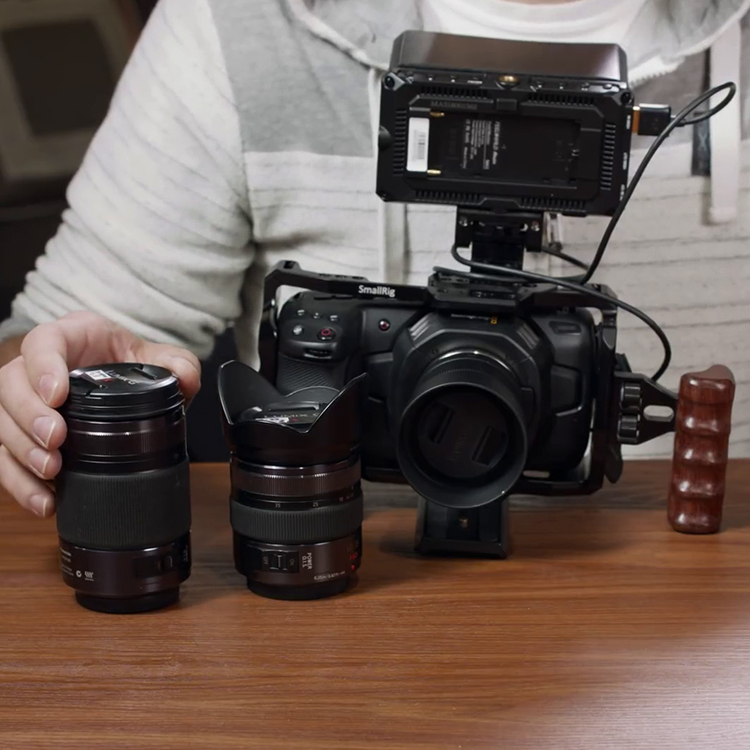 Its signal and power options allow the on-camera monitor to fit seamlessly into any workflow. With ports well protected by the space gray aluminium chassis, the 702 Touch offers 2x 3G-SDI inputs, a 3G-SDI output, an HDMI input/output, and 4x mounting points. 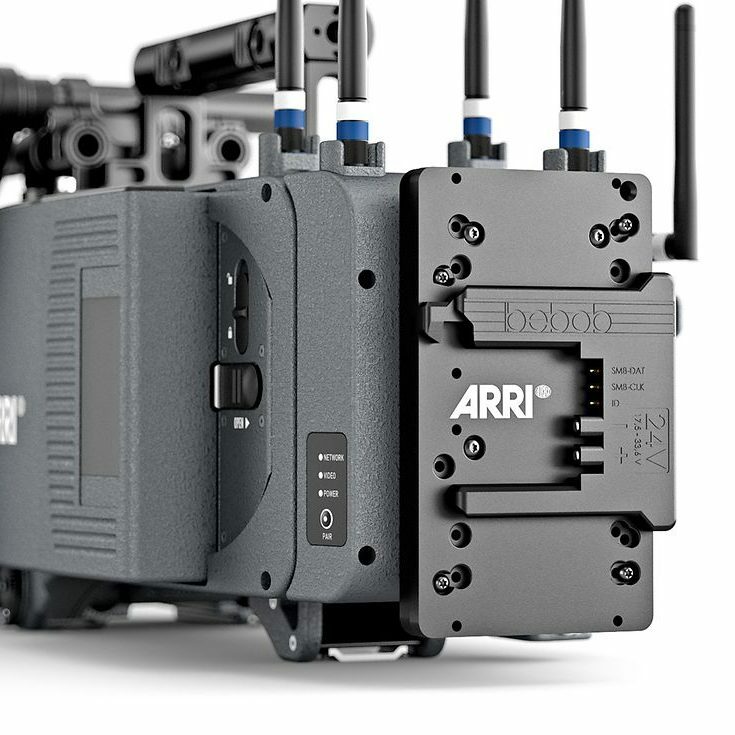 The 702 Touch can be powered via 2x Sony L-series NP-F batteries or via optional V-mount/Gold mount battery brackets; the wide-range DC input (10-34V, 2A) also allows for system power. 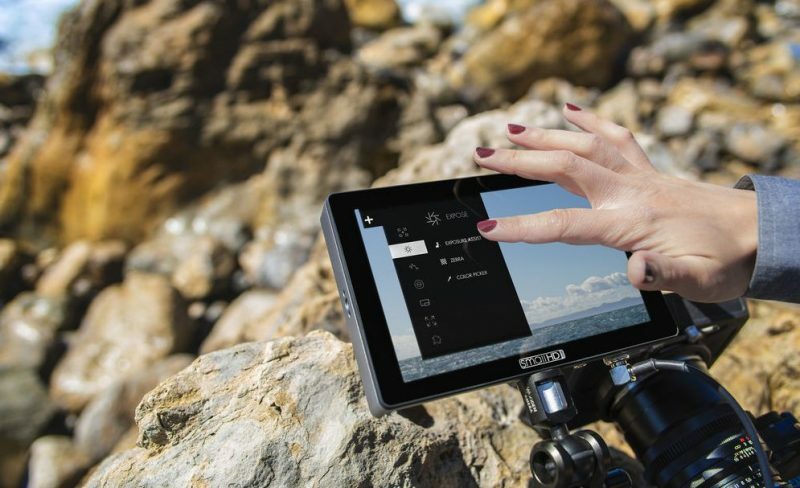 The monitor’s capacitive touch touchscreen, which supports five simultaneous touches, controls the monitor’s SmallHD OS3 software and PageBuilder interface. 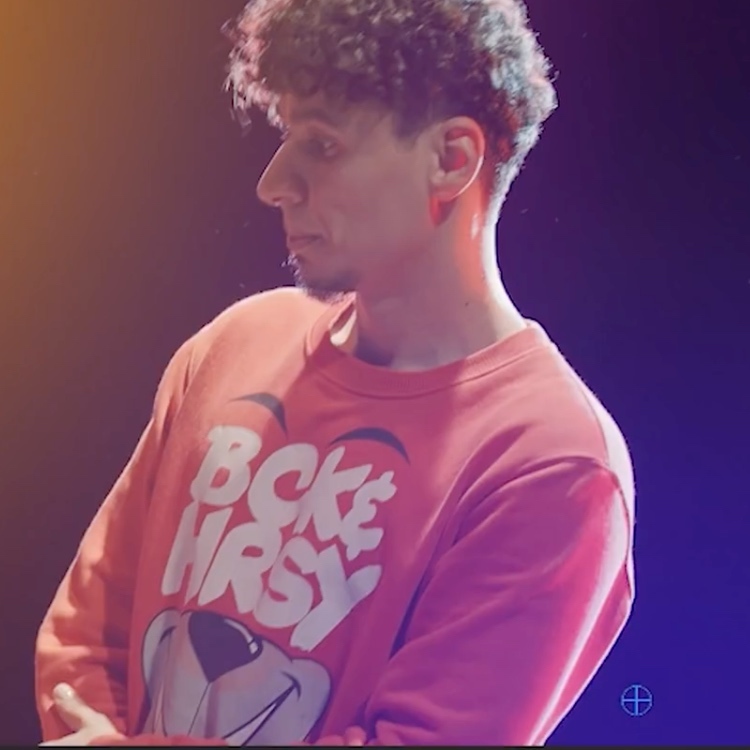 The easy-to-navigate, professional OS3 toolset provides a wealth of on-screen functions, including customizable HD Waveform, Vectorscope, False Color, Focus Assist/Peaking, Anamorphic De-squeeze, Framing Guides, and storage of unlimited 3D LUTs via SD card. 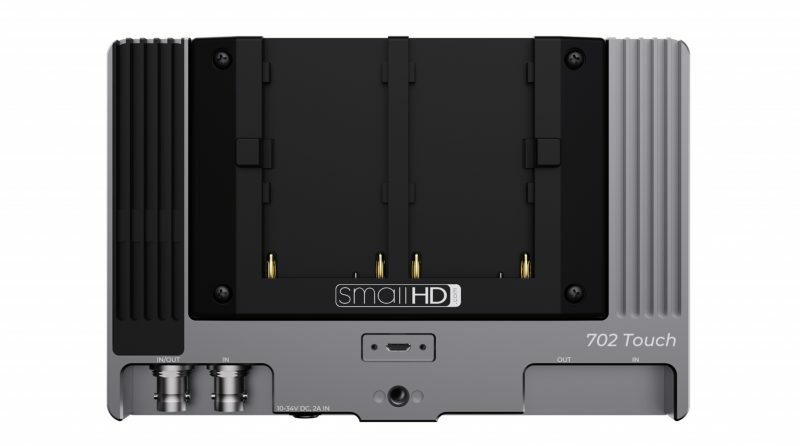 The new SmallHD 702 Touch is estimated to start shipping shortly after NAB from SmallHD authorised resellers and partners at $1,299. For more information or to order online, visit SmallHD. Pre-order from B&H or SmallHD direct.